Hamsini is an accomplished brand strategist, meticulous researcher and gifted communications thinker. As Executive Vice President and Head of Strategic Planning at JWT Mumbai, developed original frameworks for financial branding and positioning, activation planning and advertising evaluation. She has two decades of experience in a range of industries. Hamsini has published award winning writing and is a regular contributor to international and local publications and has a rare facility for combining conceptual thought with deep analysis and a grasp of nuance and detail. She is involved with a variety of international initiatives in applied semiotics. Ishwari is a marketer and strategic planner with more than 15 years of experience in consumer marketing and brand strategy. She is based in the New York metropolitan area. 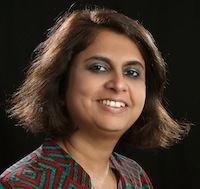 Ishwari spearheads Leapfrog’s global business and is involved in Leapfrog’s India initiatives, as well. Ishwari has a natural instinct for business with a laser sharp focus on delivering tangible results to Leapfrog’s clients seeking sustainable growth. Rasika Batra is a qualitative researcher, trend spotter, counselor and trainer with over 18 years of experience in the Indian market. She has a particular interest in cultural semiotics. 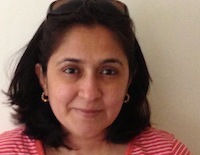 Deepa Mhatre is an award winning brand and communications planner with over 14 years of experience. She has worked at JWT, Ogilvy and Grey Malaysia. She is passionate about the creative process and is interested in rose gardens. Sharmila Das & Shubho Roy are co-founders of Purple Audacity, a five year old specialist qualitative research firm. They are known for their firm point-of-view and clear recommendations as well as innovative methods. They draw their lineage from many years spent at PQR, Delhi where Sharmila was head of their Delhi operations. Sumira Roy is an award winning creative director and co-founder of creative boutique agency, PS Advertising. She won her laurels at Ogilvy and JWT before setting off on her own path as an entrepreneur. Sumira has an excellent connect for brands and communication targeting children, youth and women. Pranab Dutta’s genius is graphic design and his specialization is the design of media products – newspapers, magazines and e-content. With over 25 years of work experience with the top Indian and global media brands, Pranab delivers the goods every time as the head of his own design firm, Great Latitude. Ramesh Thomas, is President and CKO of Equitor Consulting. He is the pioneer of the brand valuation discipline in India, having been an associate with Interbrand. Nappina Sampath is the key practice leader on his team. Both have huge experience in quantitative research as well as in advertising. Dr. Malcolm Evans, is the co-founder of Space-Doctors, UK, London’s leading specialist semiotics consultancy. He is one of the early pioneers of applied commercial semiotics keenly focused on making the discipline useful to clients and business. He is an invited speaker and trainer in many forums, has published several award-winning papers and is the moving force behind www.semionaut.com, the world’s first semiotics wiki. Dr. Tim Jones is a UK’s leading guru on Innovation and Foresight. He founded and sold Innovaro, Europe’s leading Innovation Consultancy. He created the Future Agenda program, the world’s first and only open source foresight program. He now leads the Growth Agenda Network and is the lead author of Growth Champions – lessons from companies that have a sterling record of growth.